Jacaranda mimosifolia is a species of tree that is native to south-central South America. However, its beautiful periwinkle purple and blue bloom has made it a poplar plant in other parts of the world. The roughly two-week bloom lights up the Mexico City, Mexico metropolis, splashing the city with its vibrant foliage like a paint brush splashing a canvas. AirVuz Drone Video Awards' nominee inigui couldn’t resist capturing its beauty in this short, aerial video. Description: The Jacaranda tree, native to South America - was brought to Mexico, where it adjusted and became a trademark of Mexico City. 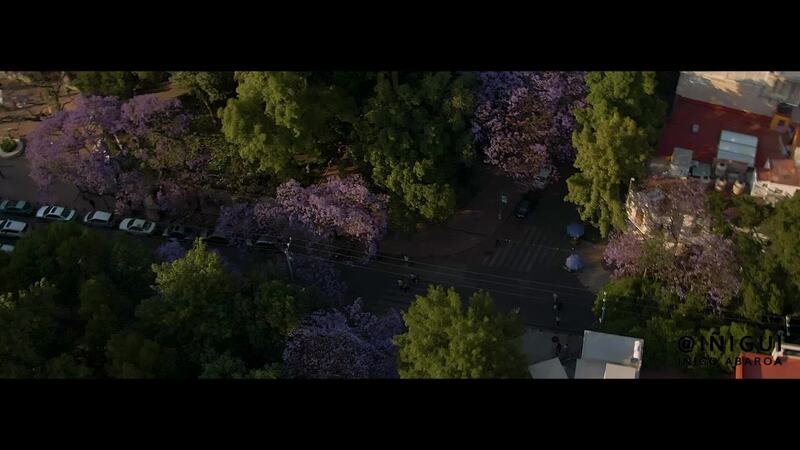 Once a year, the Jacaranda tree blooms for a period of about two weeks, giving splashes of purple to this already iconic metropolis.